How many of you have tried to assemble a newly purchased toy, computer system or piece of equipment WITHOUT reading the instructions? The answer is: most of us! Then when frustration sets in, when we suffer, we decide to study the right way to accomplish the task. Unfortunately we tend to treat fair housing laws and guidelines exactly the same way…we wait until we are in trouble to “read the directions.” Just ask anyone who has had a complaint or lawsuit filed against them how smart they are NOW. Wouldn’t it make more common sense to learn how to prevent the suffering in the first place, rather than learning how to prevent it happening again? “Why can’t we have separate swimming pool hours for the adults, like “no children allowed on Saturday and Sunday from 10 am until 3 pm.”??? Sounds reasonable, doesn’t it? It would give the grown ups time to float and nap and not get splashed…. The common sense answer, the “ah hah” experience happens when we respond “would you have separate pool hours like ‘no Jews (or blacks or Chinese or Muslims or handicapped people’) in the pool Saturday and Sunday from 10 until 3?” The answer is always a resounding “NO, that would be illegal.” Well, children have the EXACT protected status as race, color, national origin, religion, handicapped and gender. It’s just common sense! HUD continues to look closely at “sleeping spaces” that are not actually bedrooms. So why do we think they would miss an actual bedroom that is being called something else? A rose is a rose by any other name. Plus common sense tells me that in a soft market we could fill a lot of vacancies if we allowed more small persons not yet walking to share the bedroom with their parents! Sometimes the lack of common sense backfires on us and costs us money! And last for today…”Why can’t we put all the people with kids downstairs and all our older residents upstairs? It would sure keep the peace.” Here we go again…would you have a policy that all Hispanic people must live downstairs? Of course not…and kids have the same protected status! On Demand shows, follow the “REGISTER HERE” links in the Episode Guide below. Fair Housing is a prominent part of our daily lives, and as multifamily professionals we are aware of that to the point of being wary. How much do you really know about Fair Housing, and examine if you are letting fear or lack of knowledge get in the way of doing your best work? This show is designed to get you up to speed on fair housing and equip you with the confidence to perform effectively within the boundaries of these important laws! Join one of our industry’s most experienced authorities Anne Sadovsky and many special guests as we explore real-life case studies, lessons learned, success stories, and potential pitfalls on topics including: the importance of consistency and documentation; what is (and isn’t) a protected class; the ins-and-outs of accessibility; observing occupancy standards; the skinny on steering; guidance on companion and assist animals, latest findings and much more! Always exciting and educational…stay updated and educated on this very important part of your job! Subscription: Receive all 10, 60 minute episodes for just $199 OR purchase individual episodes for just $29.95 each. How to Buy: Click on the button below or on any of the individual links in the Episode Guide to visit our Online Catalog and purchase all or any episodes you wish to view. In the Beginning, There are the Basics. This first episode focuses on the fundamentals starting all the way back to 1866! You will learn how Fair Housing relates to Civil Rights, who, exactly, the protected classes are with definitions of each, how and when different ‘groups’ became protected, what additional federally protected classes might be coming in the near future, whether your state, city, or county have additional anti-discrimination laws of which you need to be aware and more! The key takeaway will be a firm grasp of who is protected and why! There is more to Fair Housing than Meets the Eye, and this episode will expand your view of what lies beneath the surface! Join Anne and her special guest, Doug Chasick, as they discuss shoppers and testers and if what they do is entrapment, how to respond to a Fair Housing complaint, how much time you have to address a complaint, and other key considerations! The key takeaway will be an increased awareness and understanding of Fair Housing issues, how to deal with complaints and lawsuits, retaining certain documents and other information far beyond protected classes alone! Today it is such a part of our landscape and life experience that most of us accept the continuous flow of marketing messages. They are part of the fabric of our daily lives; but these messages aren’t exempt from Fair Housing rules! This episode focuses on social media, advertising, marketing, and how and where Fair Housing applies. We’ll discuss issues including linguistic profiling; email name profiling; social media profiling; unexpected surprises; and more. The key takeaway will be an educated understanding of what you can and cannot say, print, or post! 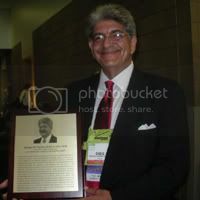 Douglas D. Chasick, CPM®, CAPS, CAS, SLE, Adv. RAM, CLP, CDEI, “The Apartment Doctor”, is the Senior VP of Multifamily Professional Services for CallSource. With over 35 years of investment real estate experience, he began as the Resident Manager of a 524-unit apartment property, and has been the President or CEO of five real estate companies, responsible for portfolios of over 28,000 apartments, and more than 8 million square feet of commercial, retail and industrial properties. An nationally recognized speaker and author, Doug was awarded his CPM® in 1979 and was a member of the IREM National Faculty for eight years. He is a Senior Instructor member of the NAAEI Faculty, leading the Advanced Instructor Training course and NAAEI designation courses. A licensed Real Estate Broker in Florida and Georgia, he is also a licensed Expert Fair Housing Instructor in the Commonwealth of Virginia, and an NAA/HUD certified Lead Hazard Awareness Training course Instructor. Doug is a 2010 recipient of the National Apartment Association’s prestigious Apartment Career and Education (ACE) Award. Contact Doug at dchasick@gmail.com, www.aptdoctor.com, www.twitter.com/aptdoctor, www.facebook.com/aptdoctor, and www.linkedin.com/in/dougchasick. The vast majority of us are in the business of providing homes for families that include children, and Fair Housing advocates have a great deal of interest in this protected class. You will learn how to comply with Fair Housing relative to families with or expecting children; how to set occupancy standards; what the Keating Memorandum is and what it represents; how to identify potential “dangers” on the property; how to apply age and adult accompaniment, rules and restrictions for amenities on-site; and more. The key takeaway will be a more complete understanding of Familial Status as a protected class. DJ Ryan has served the rental housing industry since 1973, working with the San Diego County Apartment Association for 18 years (14 of those years as Executive Director). She has been active in fair housing since 1987. From 1991 to 1997, she focused on fair housing issues as a consultant, speaker, trainer, and writer in her own consulting business. ­Since 1997, she has been a fair housing specialist and director of the firm’s statewide education program. Like any extensive area of consideration in our industry, Fair Housing has its “hot topics” and this episode will address a few of the ones that are probably hot on your agenda as well, including how to address steering, concessions/specials, cooking odors, answering “difficult” questions, second-hand cigarette smoke, medical marijuana, domestic violence, and more. The key takeaway will be an update on some of the latest issues that are grabbing attention and generating debate, and what Fair Housing laws have to say! Moloy Good started with the Fair Housing Council of Oregon in April of 2003. He was recently named its Executive Director. FHCO is a highly regarded private nonprofit dedicated to furthering the cause of fair housing through education, outreach, and enforcement. Mr. Good began his work with FHCO as its Enforcement Coordinator. In this position he managed all of FHCO’s enforcement activity, including designing and administering tests to determine if the fair housing laws are being met. Previously he worked as a staff attorney for Legal Aid Services of Oregon. He helped defend people against evictions, but also negotiated with landlords to avoid evictions. Mr. Good’s commitment to civil rights began while he was growing up in a small town in the Pacific Northwest. He experienced and witnessed much of the ignorance that leads to bigotry and prejudice. In high school he decided to pursue a career that would allow him to combat this intolerance. During college he continued to pursue this goal by studying about the civil rights movement, eventually writing his senior thesis on the subject. He chose to attend Howard University School of Law because of its long and distinguished history as a catalyst for the expansion of civil rights. His work with FHCO has allowed him to use his legal education to help defend and further the cause of civil rights. Housing is a people business, and wherever there are people, gender issues can come into play. This episode focuses on gender issues ranging from women’s rights, sexual harassment and domestic violence on the property. What can you do if domestic violence occurs and one or both of the residents want to stay on the property? What if an employee is accused of sexual harassment? Your key takeaway will be a greater understanding of how Fair Housing relates to these key issues, and how to navigate these difficult waters with success. This week’s show features many discussions of who and what Fair Housing laws protect, but this episode will turn the tables with focus on areas where Fair Housing rules and laws do NOT provide protection. We’ll talk about some things that may surprise you, discuss situations where residents think they are protected and are not, how to handle the questions. We will include how your signage, documents, websites, brochures and old community policies can get you in trouble, and how rewording and other changes will create your best compliance and defense! Many Cities and States are adding protected classes to the seven protected under Federal law. This session includes discussions on other classes added for protection, by whom and where, and why. Could these additional protected classes be considered by HUD as additional federally protected groups? What action does it or would it take to gain protection for any additional persons/groups? Is there a group or class that is added most often by states, cities, companies? Get your questions answered and your answered questioned! This is a great chance to submit your most burning Fair Housing issues, questions and comments. July 1 is the deadline to email your questions to Anne at anne@annesadovsky.com. Every effort will be made to create a discussion group, answer the questions, get more information for you and get clarity on issues that you face regularly. This is the best opportunity ever of attendees to share stories and experiences, how they were handled/settled and what issues you deal with most. This, Too, Shall Pass…We Have Been Here Before!